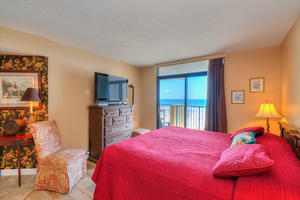 Verandas 301 on the ocean provides an elegant decor and inviting furnishings for your North Myrtle Beach vacation enjoyment. 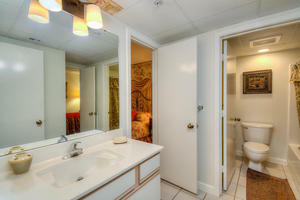 The North Myrtle Beach condo rental is luxurious and spacious. 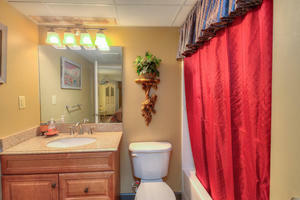 It features four bedrooms and three baths and accommodates up to 12 people -- perfect for families and friends. 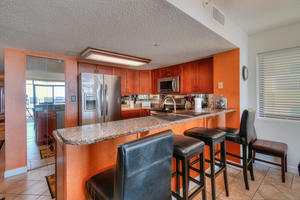 The upscale kitchen of this condo renal displays beautiful cupboards, top of the line stainless steel appliances, granite counters and breakfast bar. 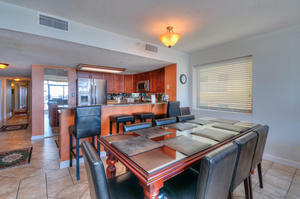 The kitchen and dining area are large, attractive and flexible for dining. 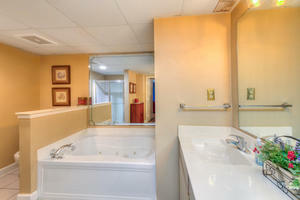 The master bedroom suite contains its own private Jacuzzi tub. 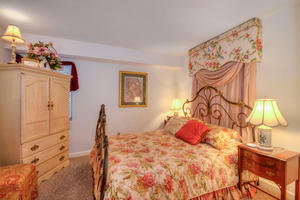 Verandas 301 provides no cost telephone and wireless Internet access for vacation or business. 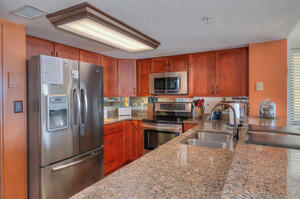 A washing machine and a clothes dryer are conveniently located inside this North Myrtle Beach vacation condominium. For your enjoyment there is a 42-inch wide-screen TV, stereo, DVD player with DVDs, and several board games in the entertainment center. 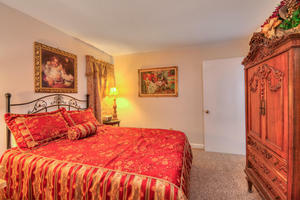 There are also DVD players and TVs in all bedrooms for individual viewing during your North Myrtle Beach vacation at Verandas 301. The large oceanfront balcony, with its attractive outdoor furniture, is great for soaking up fiery morning sunrises, the midday sun and wispy sunsets. The third-floor balcony is the perfect level to absorb the beauty of the grounds below of this oceanfront North Myrtle Beach resort with king palms, sparkling swimming pool, steaming hot tub, and winding lazy river, as well as the dunes, beach and ocean. It is a front row seat to summer ocean fun. 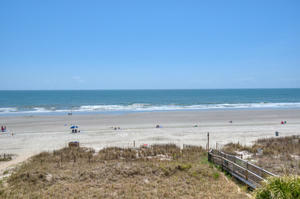 From the oceanfront vantage point of your private balcony, you can watch the dolphins swim by and look south along the ocean all the way to Myrtle Beach. 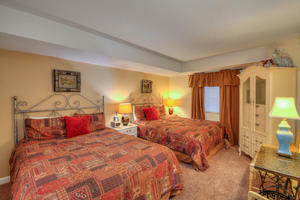 Vacation in spacious comfort at the Verandas 301 in North Myrtle Beach, South Carolina, where fabulous live entertainment theaters, fresh seafood, thrilling water rides and amusement centers are just minutes away and the ocean is at your doorstep.